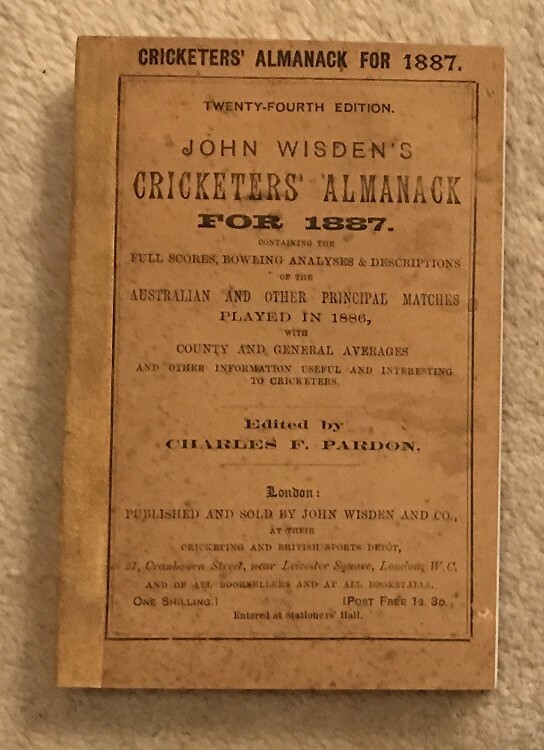 This lot is an 1887 Original Paperback Wisden with a Facsimile Spine. The covers are in very good condition, a couple of small marks with some spotting to the base , internally the book is amazing, such lovely white pages. The spine is expertly made. Tightly bound with a touch of trimming.